Øivind bought his first flatcoat in 1981. Randi bought her first flatcoat in 1995. The first litter at kennel Durin’s was born in 1986 from strong Danish workinglines. The aim was then, and is still to maintain, if not improve the working abilities in the dogs and their offspring. We highly appreciate the flatcoats gamefinding abilities in the field, and especially their talent for taking on a challenge and finding unexpected solutions, putting their very innovative and creative minds to good use. No bird left behind. 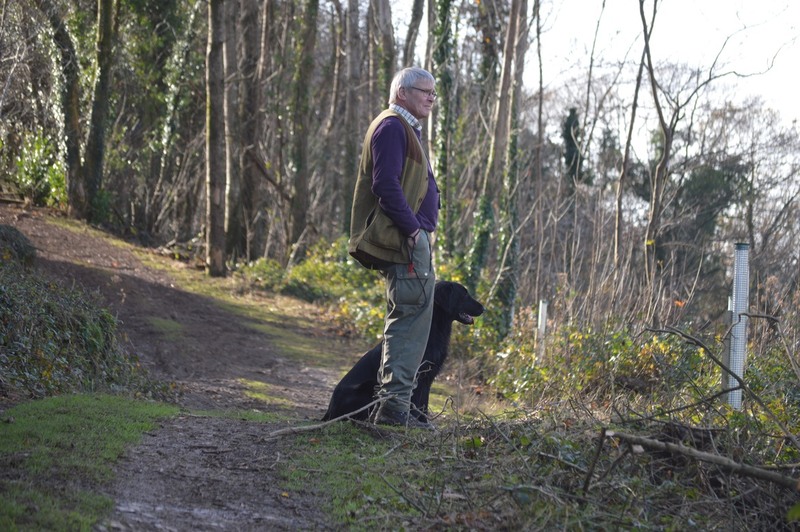 We enjoy a day out picking up at shoots as much as training and competing with our dogs. His gamefinding abilities combined with style, endurance and perseverance. His natural markingabilities are second to none, and his biddable and kind nature makes for an excellent and efficient retriever in the field. 3. 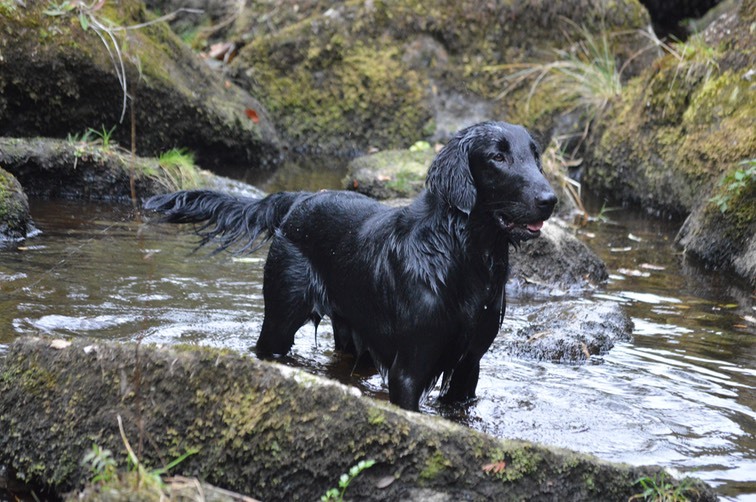 What abilities do you look for when you are breeding a working Flatcoated Retriever? Natural and strong gamefinding abilities, excellent marking skills, will to please, and confidence in all types of terrain. Good health and sound mentality is a given. We strive to improve the confirmation in the dogs as well, aiming for medium sized, well balanced dogs, with a correct type of coat. By arranging trainings which help the handlers identify and develop the strong points in their dogs, and also give them the tools to handle the less opportune features in their dogs. By creating a strong motivation in both dogs and handlers, they are more likely to be ready for the challenges in the field trials and workingtests. 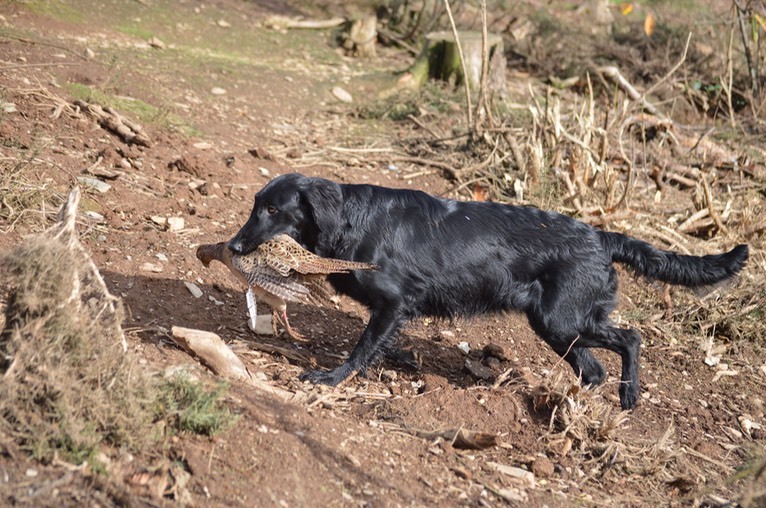 Handlers with experience of handling the breed from puppy to fully trained retriever, are key to the development of the next generation of flatcoat-handlers. Their outstanding marking- and gamefinding abilities. Their confidence working in all sorts of cover. The way they excel in finding creative solutions to the task at hand. It never gets boring or tedious, spending a day out with your flatcoat, no matter the tasks you are given. Their enthusiasm and joy when working through the day persists. A working flatcoat is indeed at happy flatcoat. Avoid endless, repetitive tasks. They often serve no purpose, as the dogs finds them tedious. When repeating a task, make sure something is a little different than the last time. (E.g. same exercise, different cover/ different angle). They often find this very motivating. Make sure your basic training is motivating. Heelwork, Stay and returning on the whistle (or a command) are essential for the puppy, so make sure to have the basics well in hand, before moving on to the more challenging tasks. They respond very well to positively emphasized training. It gives them a possibility to work with their creative minds and not only their quick feet. It also makes good use of their biddable nature. It’s always good fun to repeat the actions you have been praised for.